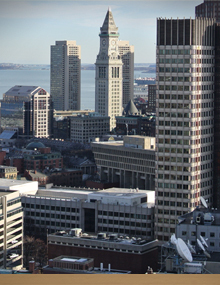 Attorney Aversa is a member of the Bar of the Commonwealth of Massachusetts. She graduated from Swarthmore College (2015) and earned her Juris Doctor at Boston University School of Law (2018), completing a concentration in Litigation and Dispute Resolution with honors. While in law school, Julia served on the board of the Latin American Law Students Association, and as a note editor on the Public Interest Law Journal. Prior to becoming an associate at McGrath & Kane, Julia represented indigent defendants at BU and Harvard civil clinics as a Rule 3:03 certified student attorney, focusing on domestic relations and domestic violence cases. She continues to center her practice on complex family law matters including divorce actions, custody disputes, paternity actions, contempt actions, modifications, removals, and appellate matters. In addition, Attorney Aversa volunteers at the Suffolk County Probate & Family Court Law Clinic, and Lawyer for the Day Program for the Middlesex County Probate & Family Court.